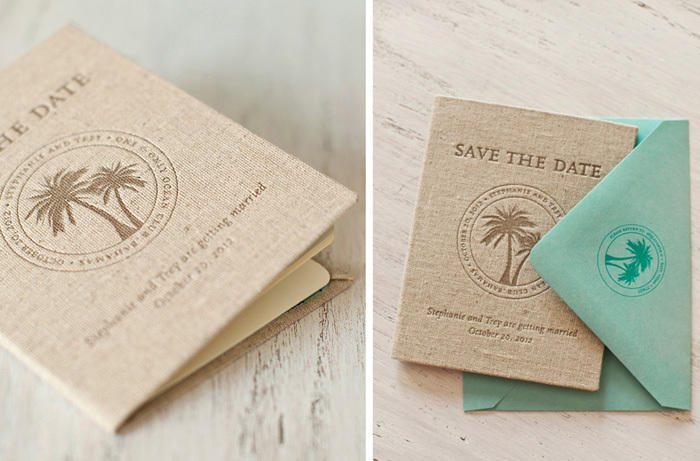 Due to all the logistics involved in attending a destination wedding, save-the-dates are a must no matter when your wedding date is. 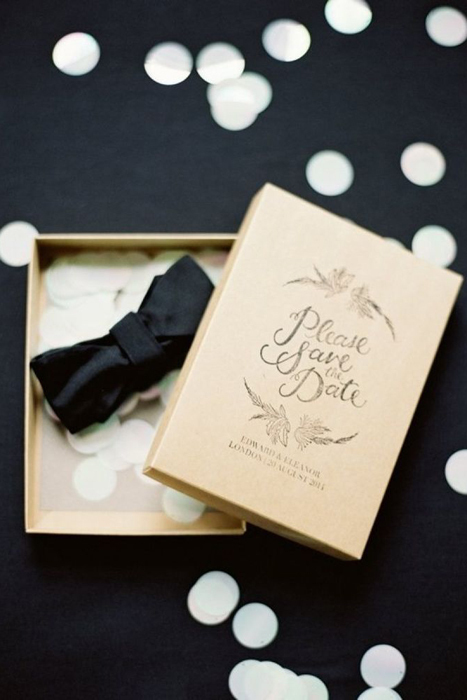 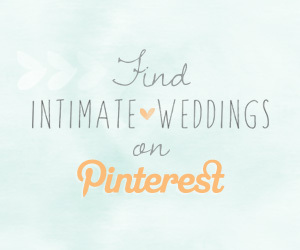 Thankfully, destination weddings provide all sorts of opportunities to have fun with your invitation suite. 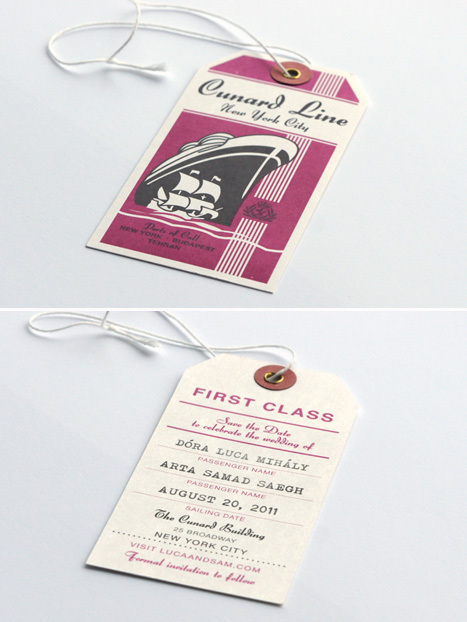 Passports, luggage tags and airline tickets all make great templates to work off of. 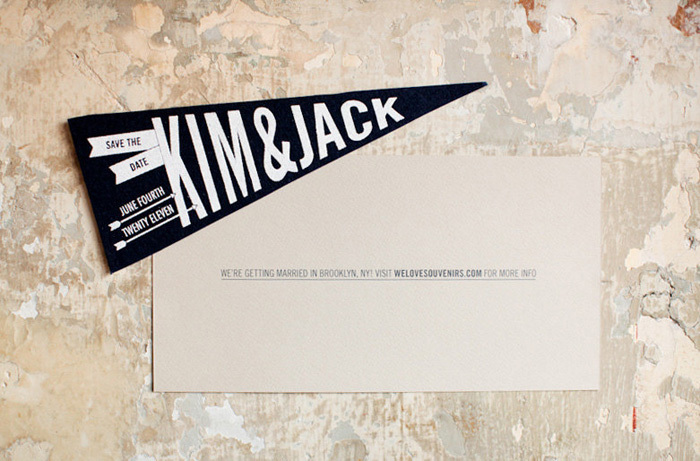 Who says save-the-dates have to be printed on paper? 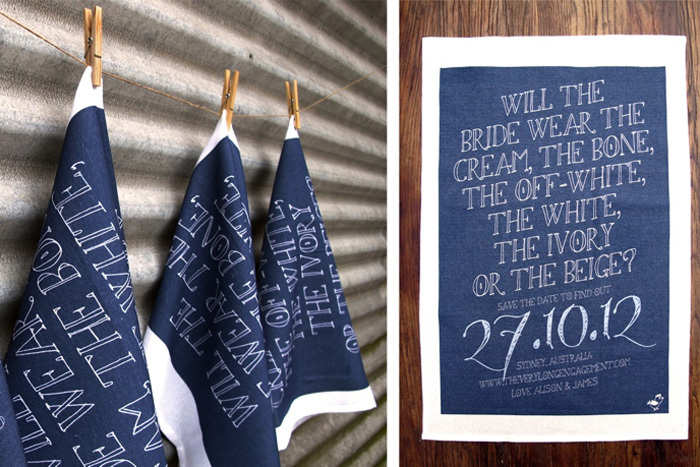 We love the idea of printing on different materials, especially when they do double duty like this tea towel save-the-date. 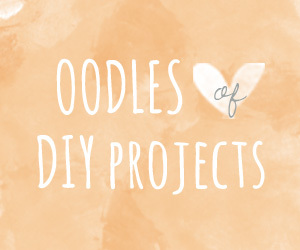 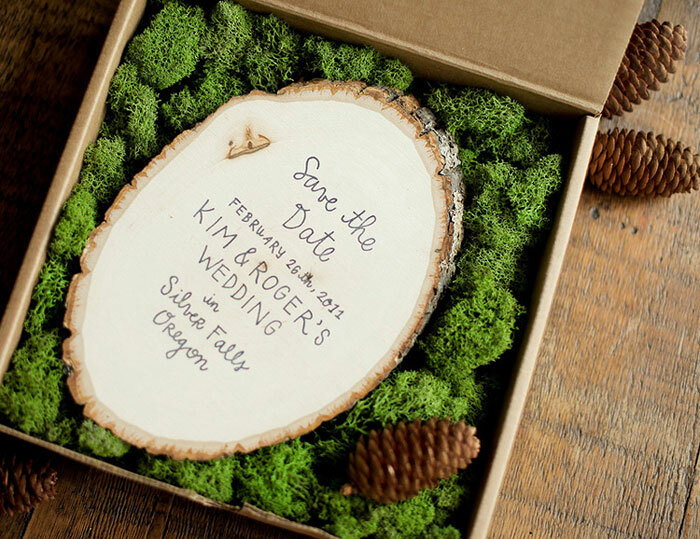 Using a custom rubber stamp allows you to DIY your save-the -dates and you can pretty much stamp on any surface you like. 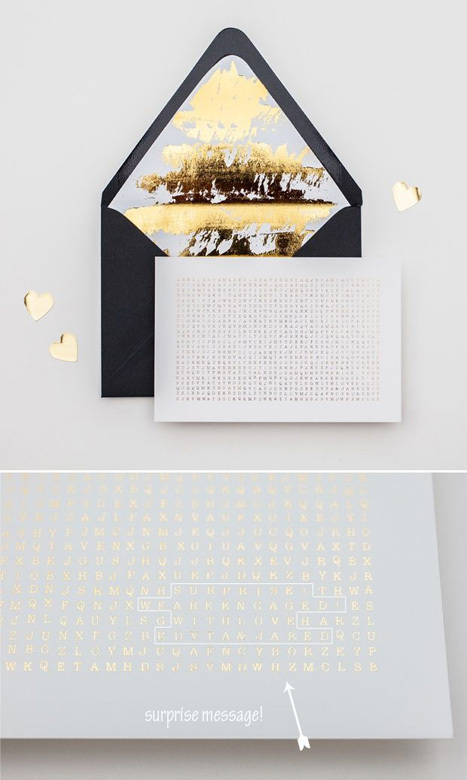 We think adding a little favor with your save-the-date is a particularly sweet and thoughtful touch, especially if you’re having an intimate wedding and can afford to splurge a little. 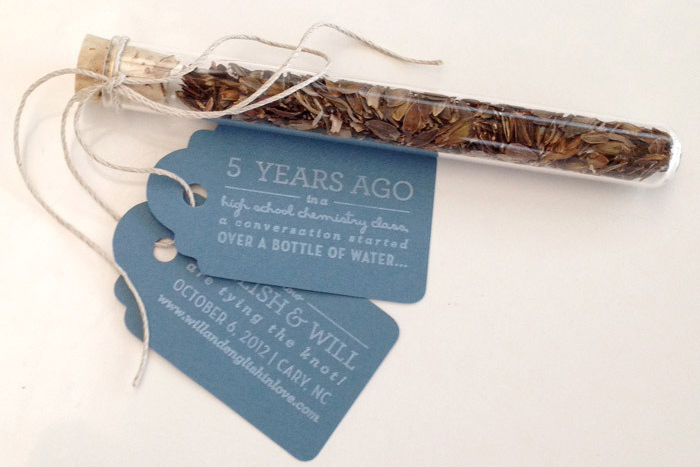 Why not make your save-the-dates an interactive experience? 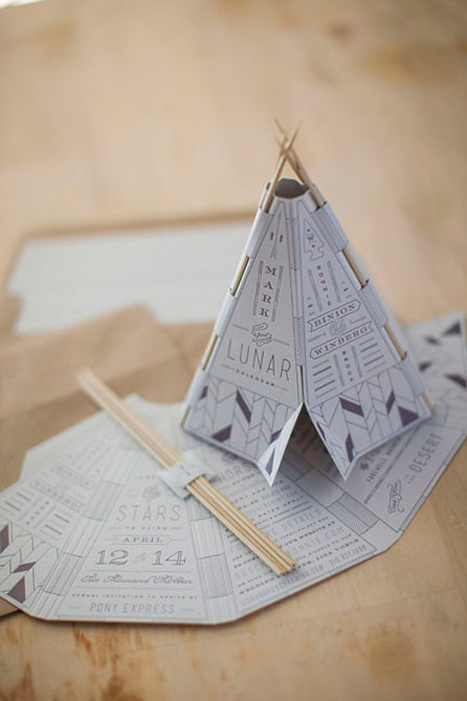 Building a teepee and finding a message in a word search are way more fun than simply reading a boring old save-the-date card. 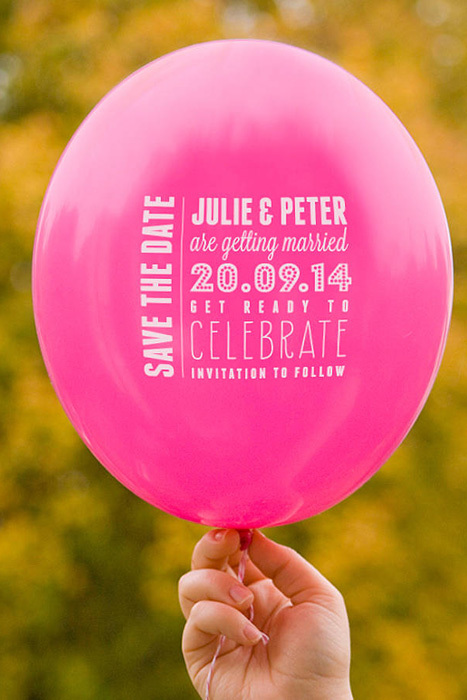 This just might be our favorite save-the-date of them all! 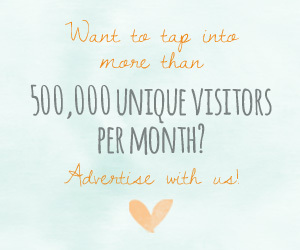 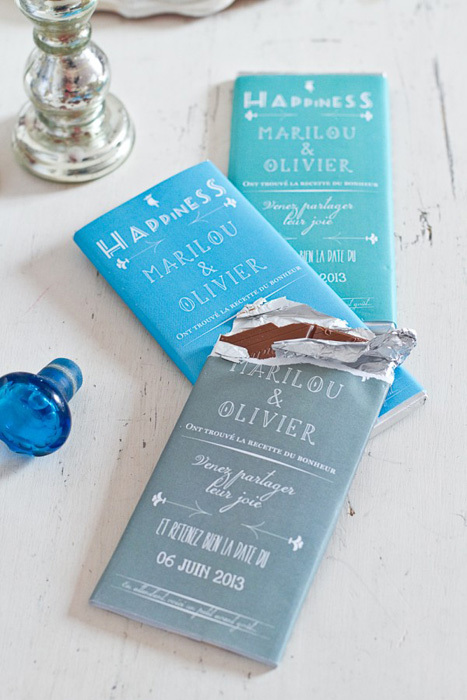 Who wouldn’t love receiving a chocolate bar in the mail? 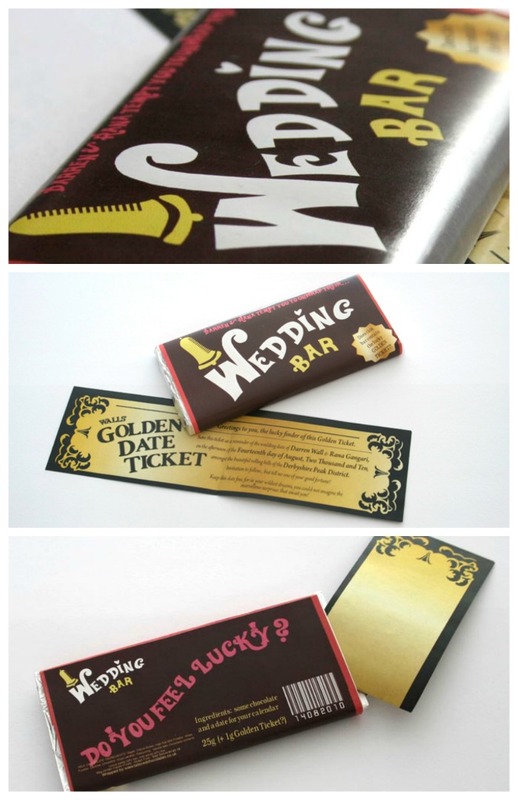 If you loved Charlie and the Chocolate Factory, why not include a chocolate bar save the date with a golden ticket?